Weekly 1.5 - 2 hours at a riding pace of 20-24km/h (13-15mph). May be hilly. It's Hackpen Hill night! All the way from the bottom in Childrey. 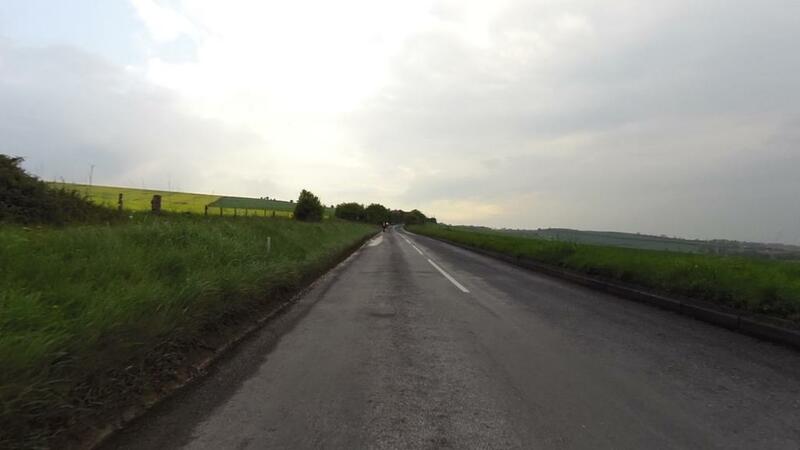 But you'll get the descent towards Lambourn before turning back up the Seven Barrows Road. Down Blowingstone and Kingston Lisle. Chance for some leg stretching on the Baulking Road and Denchworth Dash. Eleven riders including a warm welcome to new rider Fiona. 1* - Suitable for irregular, social, beginner or family riders, pace will match the slower riders. Not hilly or long. Expect rides up to 3 hours. Gentle exercise. 2* - Suitable for regular riders who prefer to cover some distance but at a more relaxed pace. Likely to be half-day rides. Solid exercise. 3* - Suitable for experienced riders, may be hilly, long, quick, or any combination! Likely to be half or full-day rides. Challenging exercise. 4* - Suitable for athletic riders who can ride safely above the 3* standard. Quick rides for the fit.